Canada's year as G7 host is culminating this week, as the G7 ministers of the environment, oceans and energy assemble in Halifax to begin their three days of meetings. Some observers understandably will wonder whether these G7 gatherings are worth the time and trouble. Do G7 meetings make timely, well-targeted, ambitious and innovative collective commitments to address the central issues of our time? Above all, do member governments comply with their collective commitments, once they return back home and normal politics resume? These questions are all the more important for the Halifax gathering. It was ambitiously charged by the G7 leaders at their summit in Charlevoix on June 8-9 to build on 13 specific commitments made there. To provide a preliminary answer, the G7 Research Group based at the University of Toronto conducted a special study on the first quarter of compliance by G7 members with three key commitments on the environment, climate change and oceans. The message from the findings is clear: G7 meetings make a difference, and G7 members do comply with key collective commitments made at G7 summits. At the quarter mark of the year-long period from the Charlevoix Summit to next year's summit in Biarritz, France, G7 members have already complied at an average of 33%. "We intend to leverage innovation in the field of Earth observation technologies and related applications and make them broadly available in the poorest and most vulnerable regions of the world in order to support … infrastructure and building design." "We will explore broadening disaster risk insurance coverage, including through global and regional facilities, such as the InsuResilience Global Partnership, to extend high quality insurance coverage to vulnerable developing countries and beneficiaries in need and to encourage new types of insurance products for emerging risks." "We will promote the harmonization of monitoring methodologies for marine litter and collaboration on research on its impacts, in cooperation, for example with the United Nations Environment Programme (UNEP) to facilitate this work." Three months after the conclusion of the Charlevoix Summit, compliance averages reflect 69% for the Earth observation technologies commitment, 19% the risk insurance commitment and 13% for the commitment on marine litter. These results very likely under-report the degree of compliance that has taken place to date. They reflect very strict definitions of what constitutes compliance. For example, members have done much in the compliance period to reduce marine litter but less on the very specific component of harmonizing monitoring methodologies. Moreover, time constraints prevented these compliance assessments from being sent out as usual for stakeholder feedback, a procedure that typically results in more information that affects compliance scores. Finally, compliance averages have probably risen over the past week. As members rushed to brush up their performance on the eve of the Halifax meeting, G7 members have added further momentum for the success in store at Halifax, notably in the field of Earth observation technologies. But there are more questions to be answered. Leading up to Biarritz in 2019, will Canada achieve full compliance in the commitments that its presidency facilitated at the Charlevoix meeting? How effective will Halifax be as Prime Minister Justin Trudeau heads off to New York to present the oceans charter to the United Nations General Assembly, with his trusted environment minister Catherine McKenna in charge? The world is also waiting to see if Canada can convince other G7 members to contribute resources of their own, and if Canada will do more itself. Accountability measures and mobilizing financial resources have been areas of focus for Canada. Notably it has unilaterally contributed $162 million to support coastal communities, including $100 million to expand climate risk insurance and $2 million to assist developing countries to adapt to the impacts of climate change. Will other countries step up to join the G7 presidency and financially support Canada's ambitious efforts in environment and climate change? Angela Min Yi Hou is co-chair of summit studies with the G7 Research Group, a compliance director with the G20 Research Group and the editor of the BRICS Research Group. She is entering her fourth year of undergraduate studies at the University of Toronto, pursuing a double major in international relations and contemporary Asian Studies. 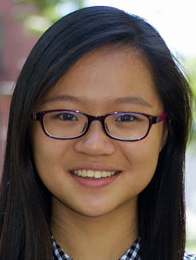 Angela's academic interests focus on China's role in global governance and international institutions. She was a member of the field teams at the G20 summit in Hamburg in Germany in 2017, the G7 summit in Charlevoix in Canada in 2018, and the BRICS summit in Johannesburg in South Africa in 2018. Julia Tops is the co-chair of summit studies with the G7 Research Group. She is a fourth-year student doing a double major in international relations and contemporary Asian studies at the University of Toronto. She joined the G7 and G20 Research Groups in her first year of studies and has since served as a compliance analyst, lead analyst and compliance director. Her research interests focus on gender and employment issues, in addition to her other interests in development and international law.